Unlimited eye relief, 12-hour auto-shutdown feature maximizes battery life. CR2 Battery Included. 30mm one-piece tube. Simple, fast and effective. Parallax free design allows for rapid shooting with both eyes open - no parallax shooting error. 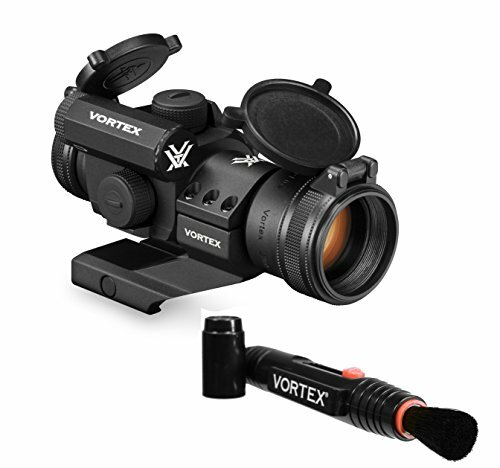 Comes with Free Vortex Lens Pen, cleans fingerprints or smudges fast and easy. Waterproof optics are O-ring sealed to prevent moisture, dust & debris from getting inside. Nitrogen purged to inhibit internal fogging.